Searching for a home that blends mountain charm with modern flair, look no further! 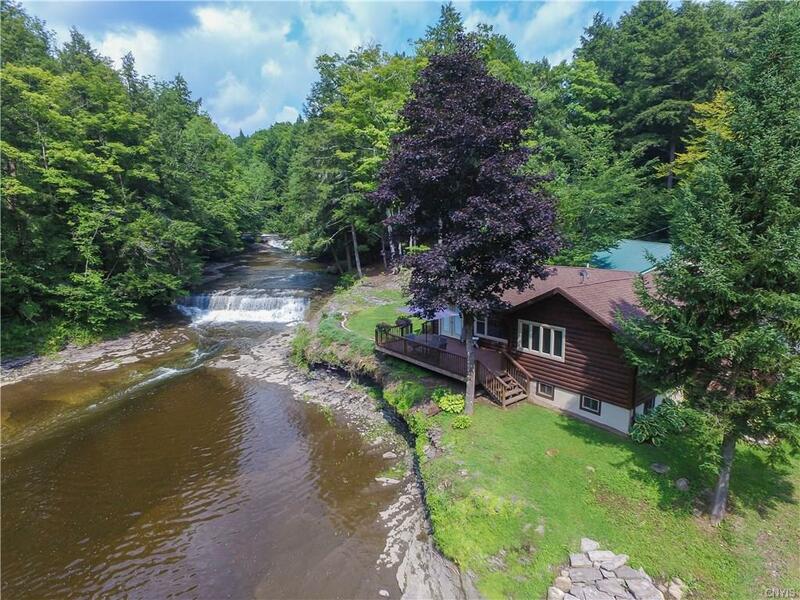 This waterfront 3 bed/2 bath log home is everything your heart desires and more. Perfectly placed on 8.5 acres of beautifully landscaped countryside on a secluded section of the Cincinnati Creek w/ breathtaking views of Wansee Waterfall. Entering the property you will be greeted by the peaceful sounds of the creek. Complete renovation and addition in 2012 with careful attention given to craftsmanship and maximizing the views from inside the home and the large deck. The Detached 30' x 44' pole barn, large enough for the toys as you explore the trails on the property. The work has been done. No need for a second home with Utica and Rome a short 15-20 minute drive. Time to make a change of address! Directions To Property: Take Route Ny-12 N @ 11 Miles Take The Ny-365 Exit Toward Rome/Barneveld/Prospect. Then 0.27 Miles Turn Left Onto State Route 365/Ny-365 Toward Prospect. Heading East. Then 0.09 Miles. Home Is On The Left.